Did you know Canadians produce a whopping 72O kilos of garbage per capita every year? Here at Island Junk Removal Solutions, we’re committed to doing our part to reduce that statistic. One major way to reduce impact on the landfill is to recirculate anything that is still in good condition. Your unwanted items may be just what someone else is looking for. When you hire us to haul away junk, we’ll set aside any donatable items and deliver to charitable organizations around Victoria where they will eventually find a new home. We provide this drop off service for free! Where can I recycle a TV? What about electronics recycling—is there any use for my out of date electronics gadgets? What should I do with all these old books? Often, the answer is to donate them. Clothes, toys, furniture, fixtures, building materials, dishes and kitchen utensils can all be donated. Electronics that still work may be of use to someone who can’t afford the latest gadgets. Stereo speakers, TVs, computers, cameras and DVD players are all donatable. Some people collect older electronics for repair parts, or even just as a hobby. That dusty old turntable or radio you tossed out of your basement might be a real treasure to a collector who stumbles across it in a thrift shop! 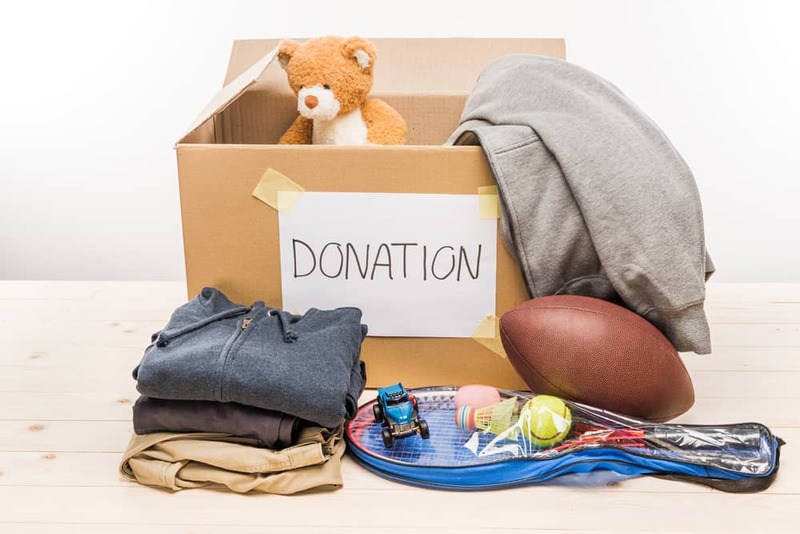 Charitable organizations may give collected items directly to individuals; or, sell the items through thrift stores and use the proceeds to fund social programs that benefit those in need. Habitat for Humanity accepts all manner of donated items for resale at ReStore, which has one location in Victoria and one in Langford. ReStore accepts appliances, hardware, furniture, building materials, seasonal decorations and more, so long as these items are in resale condition. One of our favourite local charities to support is the annual Times Colonist Book Drive and Sale. Every year, the Times Colonist collects hundreds of thousands of donated books and then hosts a giant sale. Proceeds from this popular event support local school libraries and literacy programs. In 2018 we donated thousands of books collected from our customers! The longer an item stays in use, the longer it stays out of the landfill. Donatable items are an important source of income for local charitable organizations, and make life more affordable for our community. We’re happy to help facilitate this process!